Somerset is a quiet, peaceful county famous for its local produce; golden, sparkling ciders, the finest mature cheddar, and of course the perennially stereotypical ruddy cheeked farmer. Despite the gentle nature of this historic county, presided over by the elegant city of Bath, an uprising is taking place in the old west-country, with Somerset County Cricket Club planning an assault on the collective cricketing silverware for 2011. Casting an imposing shadow over the County Ground at Taunton, St James Church and the surrounding area provides the scenic setting for the potential awakening of top level cricketing success in this sleepy part of the country. With Taunton now the home of the England Women’s cricket team, and, a major redevelopment being the focus of the year past, 2010, the County Ground is now up to International standard, with the ambition of the west-country club showing in the ?1.25 million bill for the work. Having finished the 2010 county season in second place, thanks mainly to Nottinghamshire’s stunning final day performance against Durham, the previous winners, Somerset equalled their previous best County Championship performance, this being their runner up position in the 2001 season. With this strong position behind them, and a raft of close season imports joining the already strong Taunton ranks, Somerset look likely to be providing the stiffest opposition for the other ambitious first division sides. In Marcus Trescothick, Somerset posses quite possibly the most talented English batsman currently still playing top level cricket. Not only did Trescothick prove once again in 2010 that despite his previous International troubles, he is still a top level performer, but also that following the departure of Justin Langer, he is more than capable of maintaining his high level of performance as well as successfully captaining the side. Inspirational in every way, Trescothick’s captaincy and performance at the top of the order is a huge benefit to Somerset CCC and a genuine reason to believe that they may find themselves at the top end of the County Championship division one. 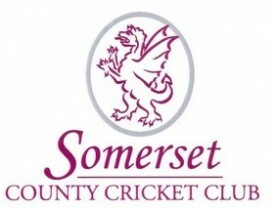 Further to the level of ambition shown in the redevelopment of the County Ground, Somerset CCC have shown a great deal of nous on the playing front, supplementing a 2nd place finish last year with several new players of genuine, game-changing quality. Possibly the most low key of the close season arrivals, certainly in terms of previous first class record, is that of George Dockrell, a left arm spinner who has drawn admiring glances during his performances for the Ireland national side in last year’s Twenty20 World Cup and this years 50 over Cricket World Cup. Dockrell had been scouted by Somerset from the age of 15, and impressing as the youngest player at the 2010 Twenty20 World Cup, taking 4 wickets against the West Indies and shackling a firing England line up, Dockrell became a desirable acquisition for an English County Side. Hoping to be the latest Ireland international to make a name for himself in the domestic English game, Dockrell will find himself in the same changing room as Murali Kartik for much of the season, an experience that can only further his ability and encourage him to flourish. The weakest area of the Somerset side, looking back at a successful 4 day season, was the bowling line up. In comparison to last year’s Durham and Nottinghamshire sides, Somerset’s seam bowling contingent was limited, and with Alfonso Thomas and Charl Willoughby a year older Somerset have chosen the right time to strike in bringing in Steve Kirby and Gemaal Hussein. The signing of Steve Kirby is a sure fire way of bolstering the Somerset seam attack. With Ben Phillips having departed for Nottinghamshire, the former Yorkshire and Gloucestershire man, renowned for his infamous sledging of Mike Atherton, to whom he boasted, after dismissing him twice, of having seen ‘better players in my fridge’ is a most welcome addition. Kirby should add efficiency, variation, consistency and most of all, wickets, having taken nearly 500 wickets at an average of 28, and having had a particularly fruitful season last time out with Gloucestershire. Kirby has set his sights on taking an England place in the very near future, and whilst his age may seem to be against him, this desire can only provide the motivation to spur him to further county success. In Gemaal Hussain, Somerset have signed a bowler who has the potential to become a top county championship bowler. Spotted by Jack Russell, whilst playing in the local leagues, having already played at second XI level for a variety of teams, Hussain made his debut in 2009 before storming the wicket taking charts in 2010. Hussain currently has 69 wickets to his name at a startling average of 23. Of course, without a strong basis already within the ranks, these exciting additions could not have the impact that the Somerset fans will so desire. However, with a team that finished second only losing the influence of Zander De Bruyn, and adding to the squad, Somerset can expect their current crop to fire again. The Batting line up looks strong, with Trescothick, Compton and Hildreth providing the potential for big runs. Somerset fans will almost be hoping that Hildreth can tone down his form a little, as recent performances for Somerset and England Lions will likely lead to him being in line for an England call up in the near future. If you add the runs of Craig Kieswetter, all-rounder Peter Trego and the up and coming Jos Buttler, an exciting and talented wicketkeeper batsman, there seem to be runs a plenty coming from the batting order. Whilst the departures of Phillips and De Bruyn to Nottinghamshire and Surrey respectively will have an impact on the bowling reserves at Taunton, two wily old performers, Charl Willoughby and the handy all-rounder Alfonso Thomas, an excellent death bowler, form a solid platform for three incoming bowlers to build on. With a front line attack of this quality ready to finally bring wickets to the usually batsman friendly Taunton pitch, Somerset have a genuine chance to bring some long-awaited silverware to the south west.